Are you ready for Halloween? 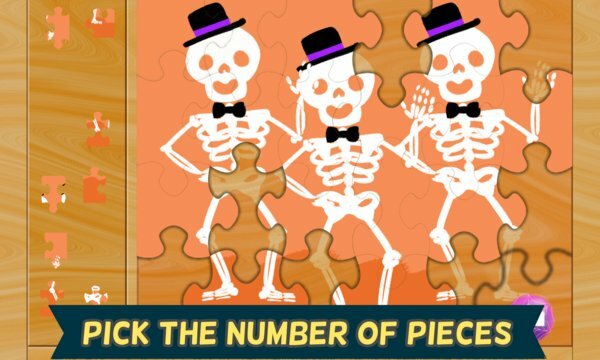 Show your Halloween spirit with this adorable themed puzzle app! 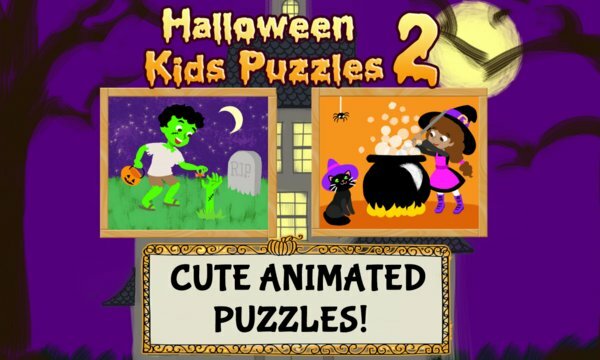 12 cute and funny puzzles come to life when completed and have an animated Halloween party- how cool is that?? Your kids will love the spooky fun with their new friends - will they go bobbing for apples with a Pirate, or out for a round of trick or treating to get candy? Dress up in crazy costumes with Count Dracula and Frankenstein- will they dress up as something spooky or something funny? Fly around with black cats and witches- marvel at their Halloween magic! A trio of skeletons will even do a fancy dance for you. Even more friends are here to join the fun- howl at the moon with Wolfman and his dog, help feed zombies with Lil’ Zombie, and help the Tiny Witch finish her spells- the Halloween adventures are endless! Please note that this is the free version with only 4 of the animated puzzles.